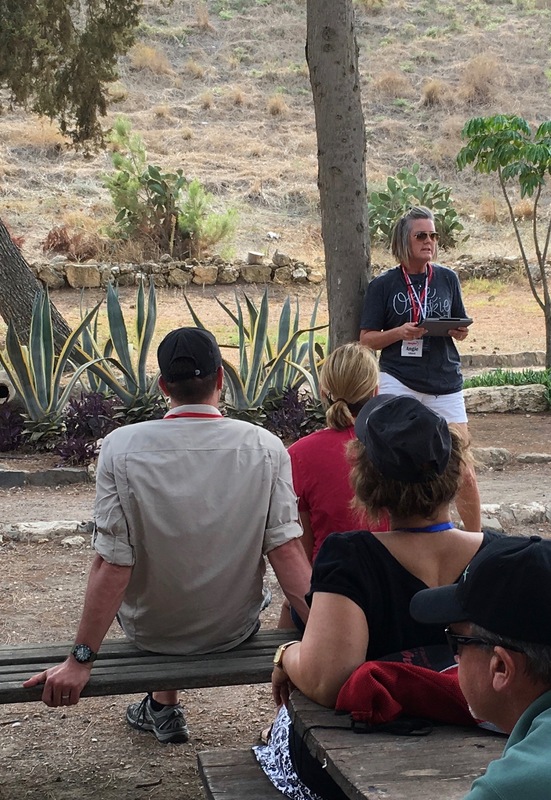 Friend and fellow traveler Angie Niblett providing the devotional at Megiddo. Sci-fi movies (like the 1998 film “Armageddon”) have long provided their guess as to how the world will end – and who will ultimately be the Savior. In the case of the before mentioned summer blockbuster, an asteroid was the culprit, and Bruce Willis was the savior. Though many (including many Christian theologians) debate the exact look of the end of the world, I think we can all agree that it will not end THAT way! Though there are different interpretations about HOW the world will end, there is a particular location in the nation of Israel that Revelation 16:16 says will be one of the spots WHERE the key cataclysmic events will take place – the area around Megiddo (or as it is called in Revelation 16, Armageddon.) Additionally, the entire book of Revelation is quite clear that Jesus is the Savior – riding in on His white horse and establishing His Kingdom in full effect. Seeing the area around Megiddo was a reminder for me that the world indeed has an end date (and place). Just like seeing the clock clicking down on the scoreboard reminds athletic teams to increase their urgency as the game nears it end, so biblical prophecy is designed to keep us focused on what matters most, and whose team we need to be on if we intend on winning the game. Today, Megiddo is a ghost town. Sure, it is a location with historic significance – serving as an important military outpost for a lengthy period 3,000+ years ago – but the fort of Megiddo has lay dormant since 586 BC. Today, it is a pile of ruins. In that respect, it was an important place to reflect upon the end of the world. 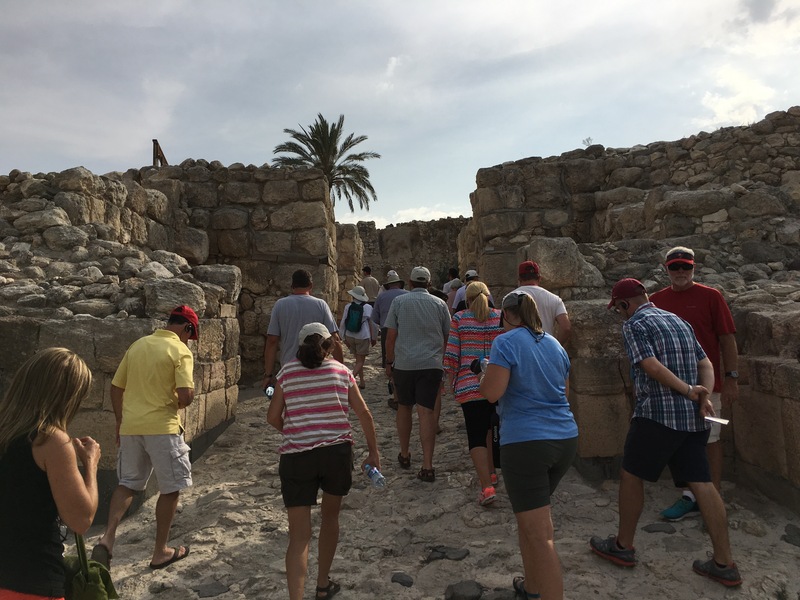 Cities of great prominence will one day look like the rock pile at Megiddo. If we put our hope in the world . . . if our savior is our wealth or good deeds . . . we don’t stand a ghost of a chance. However, if we know Jesus . . . if He is our Savior, then the place where the world ends is also the place where Eternal Life continues. Take a moment today and look at life’s scoreboard. The clock is ticking down. Who is your Savior? Just looking at those pictures and reading your post give me a sense of awe. I can only imagine the impact of actually being there. Thanks for sharing this! Thanks Bill! The trip was outstanding. Thanks for the encouragement. I hope you all are doing well!